Taconic Biosciences has recently added an additional 19 mouse models to the Knockout Repository (KOR). The KOR's more than 4,100 lines provide academic and commercial researchers worldwide with unparalleled access to fully licensed knockout mouse models. This repository offers the scientific community immediate access to expertly designed, highly valuable research tools that rapidly accelerate translational research and the drug discovery and development processes. 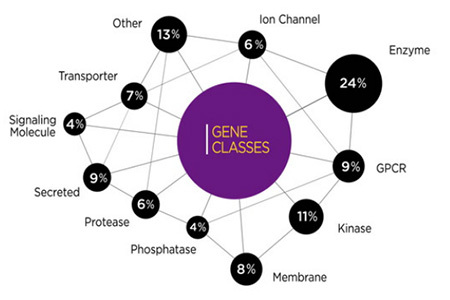 Mutations are focused on the 'druggable' gene classes and were generated using two complementary, proven technologies: Gene Targeting and Gene Trapping. The KOR lines are maintained as frozen germplasm (sperm and/or embryos) allowing both academic and commercial researchers on demand access with rapid recovery times. Eliminating the time associated with the design and development of these mouse models provides a tremendous competitive advantage. The addition of new lines to this massive collection makes the KOR an even more valuable tool to the drug discovery researcher. The new mouse models knock out gene function either constitutively (by gene targeting or gene trapping) or conditionally. These newly introduced models can be useful tools in studies focused on different therapeutic areas including diabetes, proliferation, retinal degeneration, behavior, and inflammation. Some noteworthy additions to the collection include knockouts of two highly related sodium-glucose co-transporters, Slc5a1 and Slc5a2. A publication using these models individually and in combination was able to precisely define each gene's role in urinary glucose excretion and show how pharmacologic inhibition of both transporters could lead to better diabetes treatments1. Another example of the power of using the appropriate genetic model comes from a publication around the Limk2 gene2. In vitro studies have suggested a role for Limk2 in cell morphology, but its function in the context of the whole animal was lacking. Using a gene trap mutation of Limk2, Rice et.al. demonstrate a role for Limk2 in actin dynamics and specifically in keratinocyte migration in the developing eyelid. Mice lacking Limk2 function have an eyes open at birth (EOB) phenotype. 1. David R. Powell, Christopher M. DaCosta, Jason Gay, Zhi-Ming Ding, Melinda Smith, Jennifer Greer, Deon Doree, Sabrina Jeter-Jones, Faika Mseeh, Lawrence A. Rodriguez, Angela Harris, Lindsey Buhring, Kenneth A. Platt, Peter Vogel, Robert Brommage, Melanie K. Shadoan, Arthur T. Sands, Brian Zambrowicz. (2013) Improved glycemic control in mice lacking Sglt1 and Sglt2. Am J Physiol Endocrinol Metab. 2013 Jan 15;304(2):E117-30. 2. Dennis S. Rice, Gwenn M. Hansen, Feng Liu, Mike J. Crist, Matthew M. Newhouse, David Potter, Nianhua Xu, Alejandro Abuin, Peter J. Vogel, and Brian P. Zambrowicz. (2012) Keratinocyte Migration in the Developing Eyelid Requires LIMK2. PLoS One. 2012;7(10):e47168.